Metal strips on top and cross member; illegible from ground level, woman from church said they did not know who it commemorated but thought the writing on the metal strip was indicating a passage from the bible. Text type:Small metal GRU tag near top of cross but unable to read. Original church on this site built 1277, this is the 3rd church built in 1800’s. Many memorials in the church to those who fought and died in the first world war, brass plaques, wood carved banner across the alter area. Commemorative headstone in church yard to 3 men who died during ww1and are buried elsewhere in the church yard. 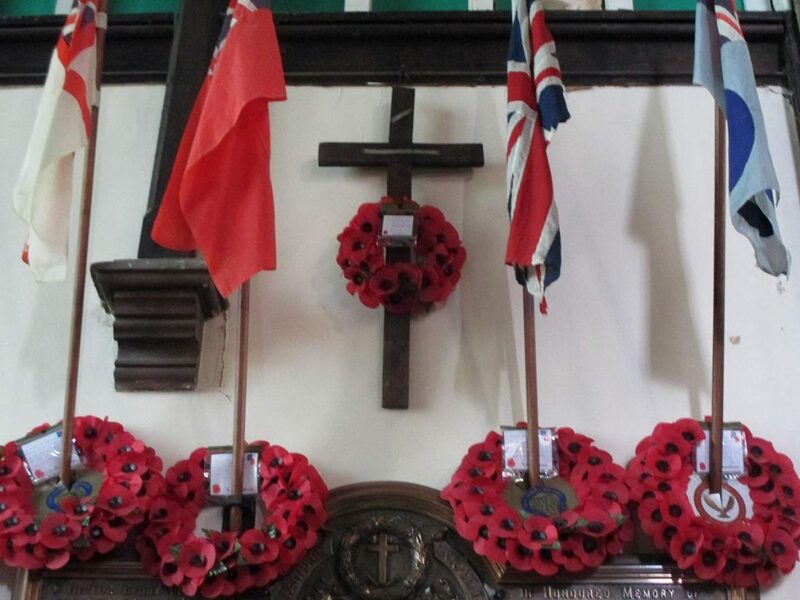 Church very supportive of armed forces and do a display each year for armistice day. In 2014 they built a mock trench. 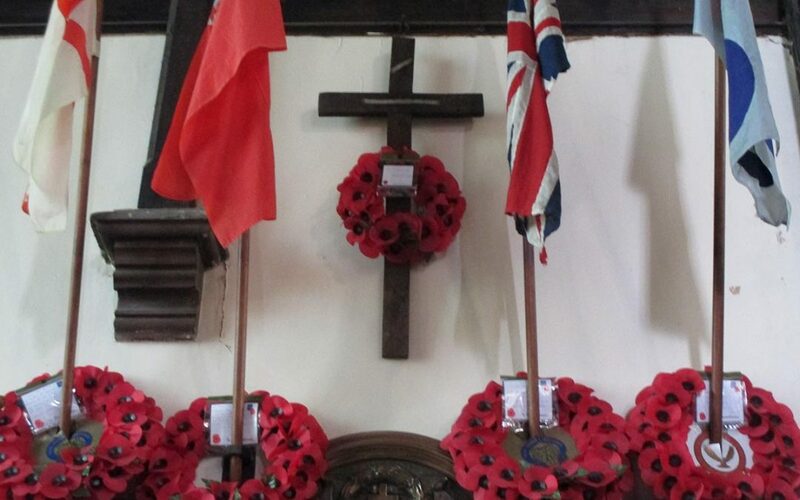 Update: there is a small sign that indicates that this cross was returned by a British Legion pilgrimage in 1929.